Is Uhuru Favoring Raila Over Ruto for 2022 Presidential Bid? Kenyan News, African, Diaspora, World, Local, Business, Politics, Entertainment, Technology, Sports, Finance and Lifestyle. Embattled IEBC CEO Ezra Chiloba has been sacked by IEBC. In a statement he released to the media, Chiloba has termed the sacking as predetermined and the whole process was just a formality. He furher stated that if not addressed, the issues he faced in his role would affect his successor if not addressed. Chiloba alleges that the matter of his disciplinary process revealed a major governance crisis that threatens the integrity of the commission . “My employment termination should not be seen as an issue of my person but that of the holder of the office,””Chiloba said. “I remain at hand to support any independent and objective review of the conduct of the 2017 General Election and all related matters,” he added. Wafula Chebukati, the IEBC Chairman, had suspended Chiloba twice before citing procurement malpractices ahead of last year’s elections. The two have had a sketchy relationship and have not managed to downplay their differences in public. Chiloba confirmed he has received the termination letter signed by the Chairman. “The letter claims that I had twice been invited to appear before the disciplinary committee of the commission ,but I failed to show up; hence the decision to terminate my employment,” he said. In his defense, Chiloba said he was away attending classes in the University of Oxford when he was first summoned. “ I communicated my unavailability to commissioners through the chairma’s office via email. 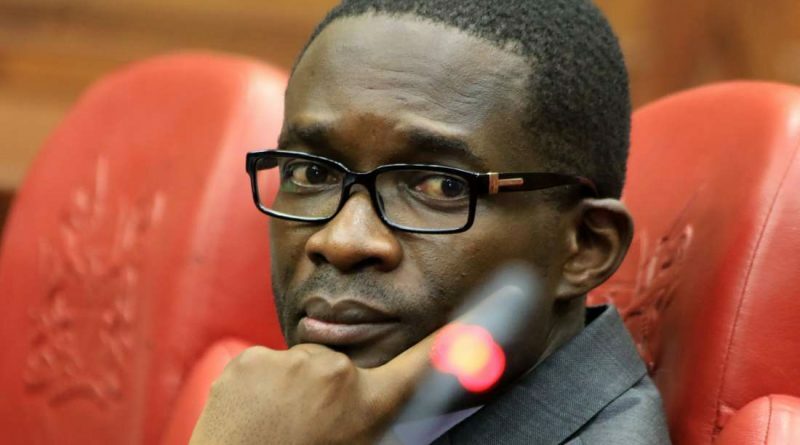 While at school, I read in the media , the development of my being sacked ,a decision that was later rescinded and communicated through the same channel,” said Chiloba. He added that he received communication about a meeting scheduled for Thursday, October 11 where he was to a panel of Chebukati, Abdi Guliye and Boya Molu to defend himself. Chiloba protested the move saying the same three commissioners who voted to send him on a compulsory leave, were the same members on the disciplinary committee. He alleged that the proceeding was itself questionable opon review of how the commission conducted itself during the said audit. Chiloba furher lamented that the commissioners unprocedurally voted to send him on a compulsory leave so as to stage-managenan internal audit that would justify their own end. 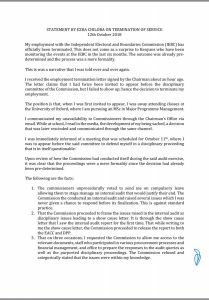 “The commission proceeded to frame the issues raised in the internal audit as disciplinary, leading to a show cause letter. It is through the show the show cause letter that I saw the internal audit report for the first time,” Chiloba said. Kisasa News is excited to bring you this new platform for delivery of current news at your fingertips! Our mission here at Kisasa News is to serve as a Mouthpiece for Kenya and Africa, and to improve the under-reporting of positive news from Africa. Africa was once the cradle of civilization. It is our time to put Africa Back on the map. Kisasa News is an experience. We welcome all our readers and contributors. No story should be left untold. There is no Heritage like Culture and no Wealth like Knowledge. Based on that premise, Kisasa News will aspire to inform and educate the world about its people and their diverse but rich cultures. We hope to build a platform to highlight the rich cultures of Kenya and Africa and shine its light to the world. Kisasa News prides itself with the diversity of the continent, it is the pace at which the existence of Kisasa News pulsates. Are you ready to join the experience of KISASA? Copyright © 2019 Kisasa News. All rights reserved.